Islamic courts need not be scary so long as they adopt the general framework used for religious arbitration in America. Islamic arbitration tribunals have a place in America (just like any religious arbitration does), but Sharia Courts must function consistent with American attitudes and laws towards religious arbitration tribunals generally. 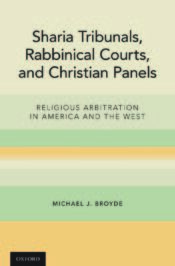 By observing how Jewish rabbinical courts are regulated by U.S. law and function within their religious communities, one sees that Islamic courts could be another example of the kind of religious arbitration that is a well-established feature of the American religious life. 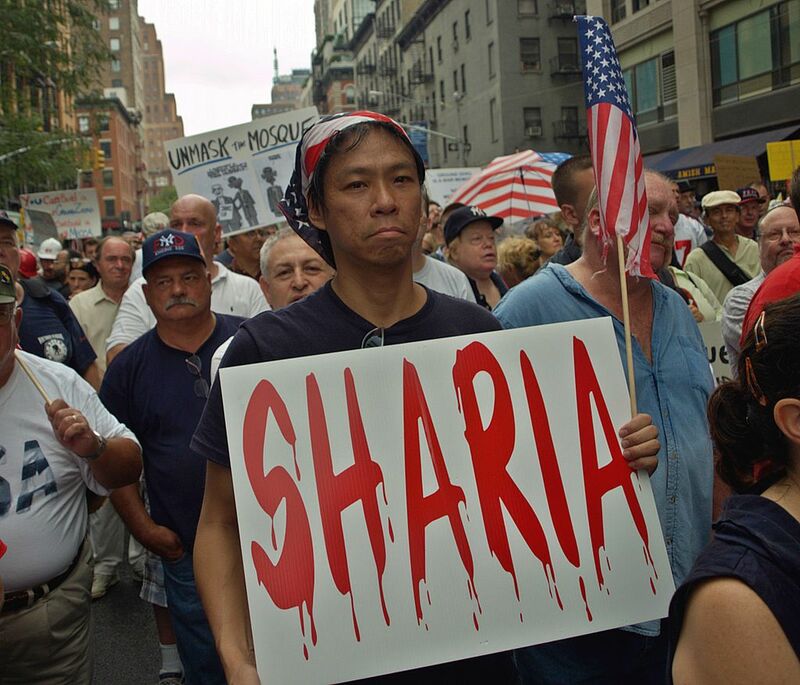 The central question is not whether American law will accept Sharia courts, but whether Sharia courts will accept the limitations American law imposes on them. Since the 1924 Federal Arbitration Act, American law has evolved from offering only one venue and law for dispute resolution to permitting numerous options, including laws of different legal systems to resolve disputes through binding arbitration. In essence, the idea is that people can agree to resolve disputes not only in a court under American law, but also in arbitration and in accordance with any set of rules to which the parties agree. Parties can rely on arbitration because the law allows them to turn to the courts for enforcement of the arbitrators’ decisions. The virtue of this approach generally is clear: if people want to do business according to French law, or Jewish law, and they sign a contract agreeing to that, the legal system ought to respect their choices. And if they agree that they want disputes resolved by French lawyers they agreed to, or three rabbis they selected, we ought to give people the freedom to resolve disputes as they wish. Arbitration’s essence is contract. Image credit: Ground Zero Mosque Protesters by David Shankbone. CC0 Public Domain via Wikimedia. This model has enabled the development of a thriving Jewish law court system within the United States: indeed, religious Americans resolve disputes with others pursuant to the norms and values of their respective religious traditions in many faiths. We should expect to witness a rise in religious arbitration. As the common social fabric in America has shifted to a secular model, many religious people no longer see the legal system as reflecting their values. Religious arbitration becomes a way that people can agree to enforce their values. Consider adultery in American divorce law as an example: once illegal, then financially penalized, and now, in most states, legally inconsequential. Religious couples may instead want their marriages governed by the rules of their faith, and sign a prenuptial agreement to this end penalizing adultery. Then, in the event of a divorce, they may prefer religious arbitration, where the person judging shares the values by which they have chosen to live. The fact that religious arbitration is currently legally permissible does not mean that Islamic arbitration is desirable to secular society. Arbitration sometimes facilitates the underhanded waiver of rights and religious arbitration could allow the enforcement of religious law that our secular society finds repugnant. Parties can use religious law to resolve disputes that foster unequal treatment of women or abuse of children. First, courts only enforce religious arbitration awards when parties have willingly agreed to participate: religious communities may pressure members to keep disputes “in-house,” which needs to be balanced with the rights of religious association in a community. A judge must ensure that the individual’s participation in faith-based arbitration processes is truly voluntary. Second, religious arbitration must adhere to procedural limitations, such as allowing lawyers to be present, treating all parties and witnesses equally regardless of gender, and ensuring that arbitrators lack bias. When this is not done, arbitration awards should not be enforced. Third, religious systems must respect the limits imposed by law: in America, that limit is financial awards only and child custody recommendations (subject to review by a judge). While arbitration permits parties to resolve disputes through “Singaporean law” or “Islamic law” if that is what they agree to, American law must still limit the authority of arbitration panels and never permit corporal punishment (even if Singaporean law permits it). Recognizing these limits is critical for successful religious arbitration. Religious communities that do not accept these limitations will find that their religious arbitration decisions will not be enforced by secular courts. To make this system work, religious arbitration panels need to employ skilled lawyers and professionals who are also members of their home religious community and who can provide expertise in secular law, the faith’s own religious law, and contemporary commercial practices. Dual expertise is crucial. All of these lessons were learned by rabbinical tribunals over the last half century and have contributed to their success in America. The fears about Sharia Law and Islamic courts could be real, but Islamic tribunals can implement the same protective measures used in rabbinical courts if they wish. Such would prevent the many abuses highlighted by various news articles over the last decades and lead to more legally acceptable Islamic courts. Islamic adaption to American arbitration law norms would be good for secular and religious America and American Muslims. By permitting religious communities to conduct private faith-based dispute resolution within clear American law limits, there is a chance that religious and secular segments of society and culture will engage in conversation that moderates its extremes. The fanatically religious community would benefit from these conversations, as would virulently secular society. The interactions — between secular courts and religious arbitration panels, and between religious and American laws — hold out the possibility that American society may be able to temper the more extreme tendencies of both Islamic practices and the secular legal system by encouraging religious communities to grow from their interactions with America, while allowing America to learn from the best of many religions. Featured Image Credit: Sharia Law Billoard by Matt57. CC0 Public Domain via Wikimedia. Michael Broyde is a Professor at Emory University School of Law and Projects Director in its Center for the Study of Law and Religion. He is also a rabbi who has served in many prominent rabbinical roles, including as a synagogue rabbi and Director and Judge in the Beth Din of America, the largest Jewish Law court in America. He is the author of Sharia Tribunals, Rabbinical Courts, and Christian Panels: Religious Arbitration in America and the West (Oxford 2017).